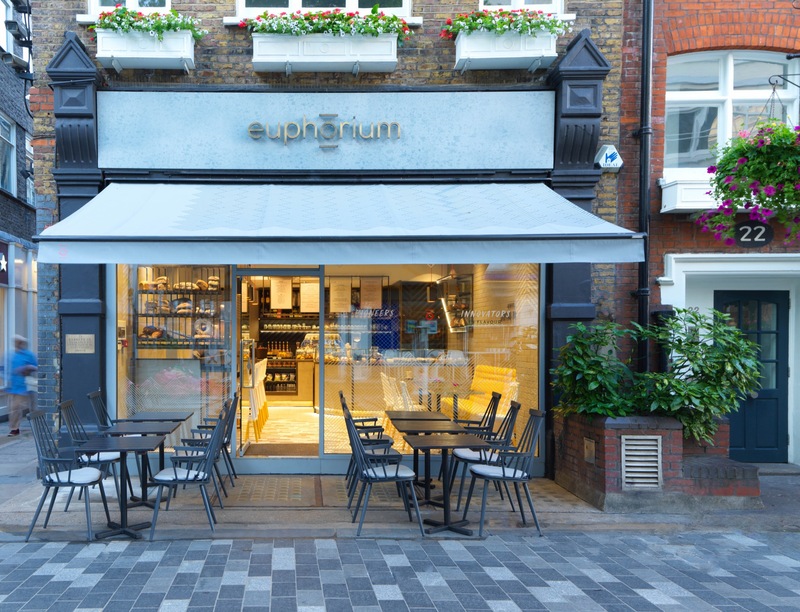 The list of coffee shops/cafes in London is through the roof! There are so many to explore, taste and try, most of which are highly “instagrammable” as well. I can say that I’ve been to only a few of them but I aim to visit more in the near future. Today I will be sharing with you a bunch of cutesy coffee shops/cafes in and around the London area. Disclaimer: Images that are not mine will be stated below. Saint Aymes is one of the few that I have been to before and it is fair to say that I had a beautiful experience over the summer. The exteriors and interiors were picturesque and gorgeous (great for pictures too). 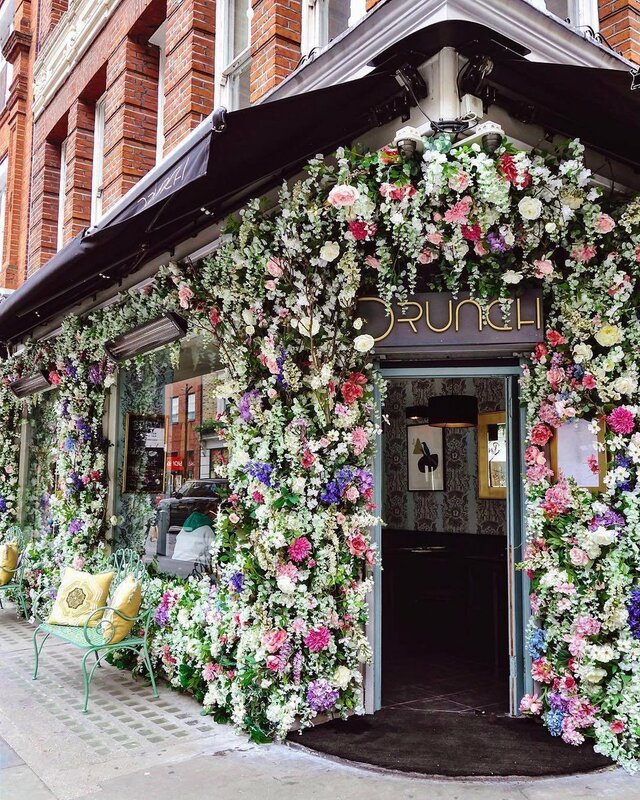 Such a beautiful location for a date or brunch with bae or your mates. I would definitely recommend as I’m sure I will visit there again soon. 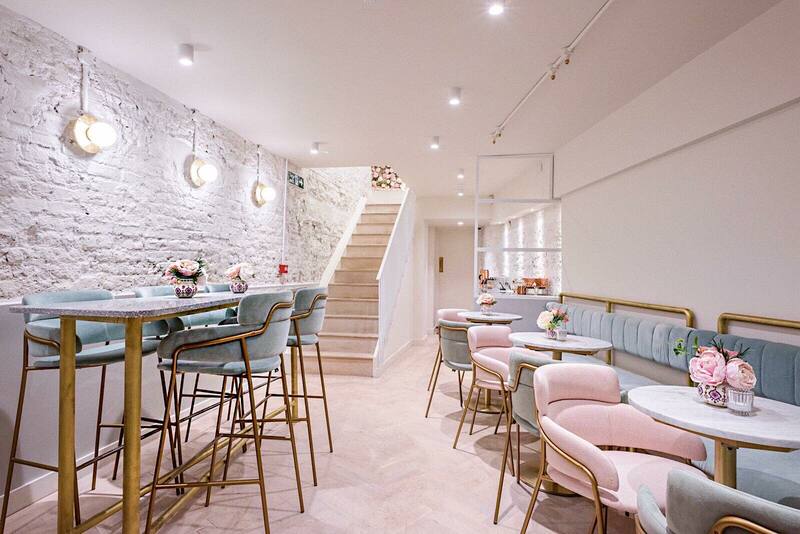 Farm Girl is a very cutesy cafe, in the heart of your prime blogger hotspot, Notting Hill. I loved my experience at Farm Girl and I would definitely recommend it as I do plan to go there again at some point. I sat outside that day as it was during summer and it looks so beautiful outside. There was a slight queue to be seated but that didn’t bother us too much because it didn’t take that long. If you go during the summer I would definitely recommend sitting outside. Find my restaurant review of Farm Girl here! 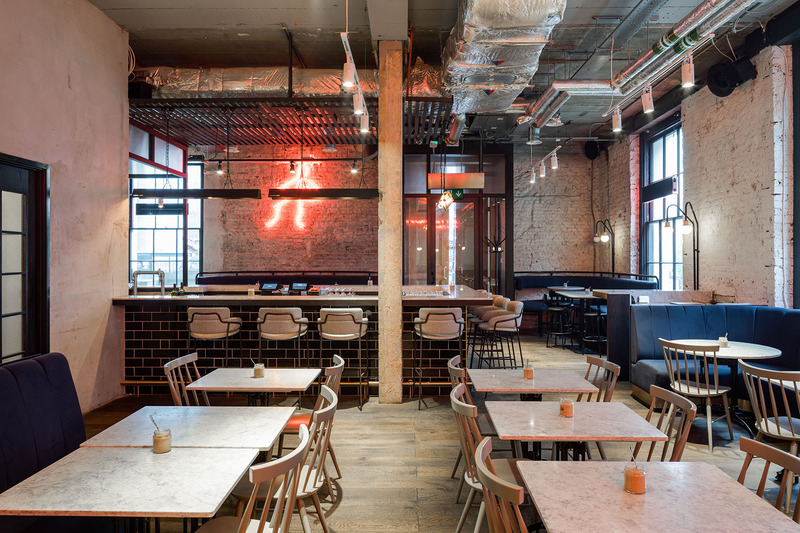 The Breakfast Club, Shoreditch is one that I visited a while ago, I didn’t really enjoy my experience as I found that the pancakes were really dry and the service wasn’t that great even when I complained. However, I definitely will visit again but probably order a different meal next time. It’s great for breakfast, brunch or even a late lunch with bae or your mates. The London Bridge Grind is such a pretty spot. Located very close to London Bridge station. It’s a calm and casual place to relax and have a cute catch up with your friends or even a cute coffee date. The food was exquisitely good as well! Another great experience and one I would certainly visit again. Burnt Toast is one of the best cafe’s I’ve been to hands down I absolutely love it! The food was so delicious, literally the best French toast I’ve ever had. The lady who served me was amazing and so welcoming! I actually hope she’s there next time I visit because her customer service was on point. It’s set in the heart of Brixton market and only a very short walk from the station! Be sure to check out the market too whilst you’re there. Find my restaurant review of Burnt Toast Cafe here! Drunch is one place I’ve never been to before. But I’ve heard a lot about and would love to try at some point! I mean who wouldn’t? Look at how picturesque that looks 😍 I know they have a few branches. One of which offers shisha/hookah if you’re up for it!😉 I certainly will be visiting this place at some point and when I do, I shall give you the heads up! Elan Cafe is another place I’ve heard a lot about, one that I’ve really been itching to go to. As you can see from the picture the setting is beautiful and every bloggers desire. I’m living for the baby pink and blue aesthetics! On my list of most “instagrammable “places to visit this one is for sure one of them. 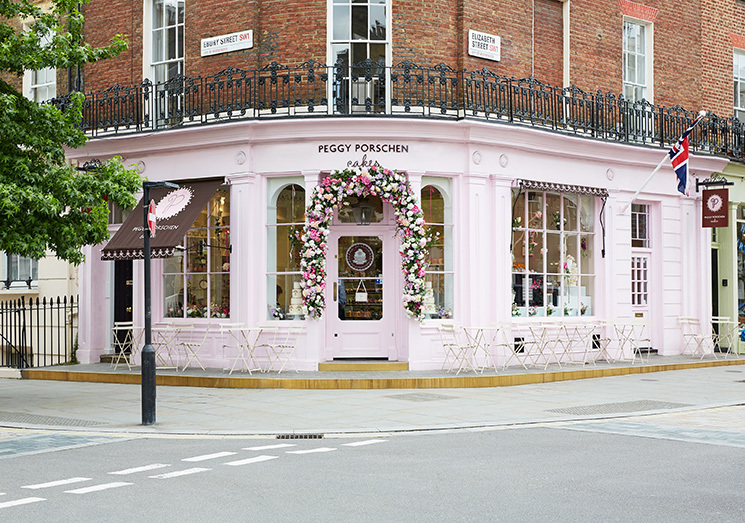 Peggy Porchen is known for its cute cake and tea dates! A boutique little corner cake shop gives you the option of alfresco dining. I will be visiting this place for sure! I can’t lie, I’m very picky when it comes to cakes as I really cannot stand when they are dry and lack taste. So I’ll definitely be testing this one and giving you the heads up! Aubaine is a very prestige setting but also very cutesy and “bougie”. I’m all for visually pleasing aesthetics and beautiful scenery and this one just tops it all off for me. It’s like something out of a fantasy, more like a princess tea room. Haha! I would go here for a special occasion of some sort or if I really want to treat myself. But as for a casual setting, meh. I doubt that would be the case unless it happens spontaneously lol. Euphorium is a very unique coffee shop/bakery I haven’t really heard much of. However, from what I have seen on their menu. I am quite impressed. They have a carvery section where they provide a selection of meats. They offer a range of cakes and pastries and special treats! It’s one place that I would certainly visit as I’m very curious about the carvery section. Well…that brings this post to a successful close and I’m so eager to try all the places I’ve listed and also to hear from you and your experience at these places. If you ever do visit them be sure to let me know and comment on this post with your experience, I would love to hear your thoughts! I really enjoyed creating this post as I personally found it very insightful and I sure hope you did as well. There will be more like this to come but for now, thank you for reading!